Celebrate a special event or milestone with this gift box of gourmet mini cookies. Be it a major milestone or simple feat, mark the occasion with a delivery of gourmet mini-cookies. 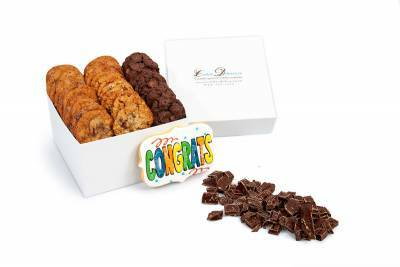 This Congrats mini box has a decorated sugar cookie on top, and is available in the following combinations of mini cookies: Chocolate Chip, Oatmeal Raisin, Oatmeal Chocolate Chip and Fudge. Baskets are wrapped in cellophane and tied off with ribbon. Congratulate someone today. 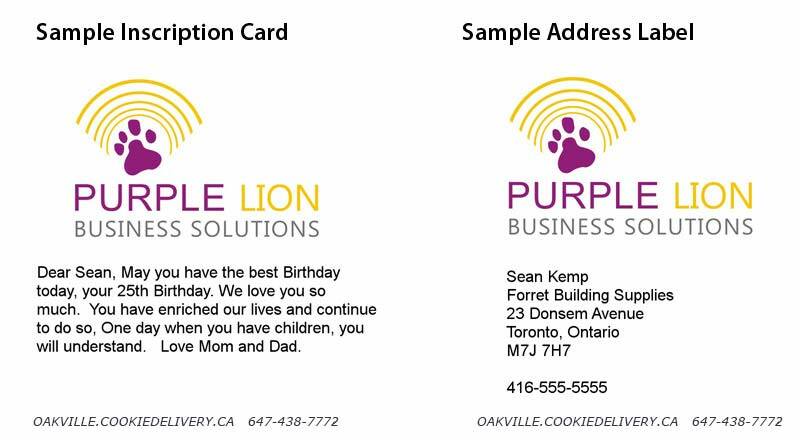 Order Oakville's finest cookie gifts for free local delivery. The following options are available for this gift box. Please select the number and variety of cookies you would like in the gift boxes - mini. If you would rather select your own combination of cookies flavours and quantities in the gift boxes - mini, then please see the Build Your Own Gift area to create a custom gift.